A brand new piano is an investment; it can give wings to your talent with the ivory keys, it can give you the sense of ownership of something powerful and coveted, and it is your magic pot from where you can pull out pieces of art. Even in financial terms, your classy new piano will serve you like a faithful accomplice for about 40 years, and might even grow in its financial worth over the years. For now, let’s learn more about the factors you need to consider when you are buying a brand new piano. The quality of the sound and volume are linked to the size of the soundboard of the piano, as well as the length of the strings. For a fuller and wholesome sound, flip the switch for a larger instrument. Be aware of the size of your room; you don’t want half of it occupied by the piano, right? A grand piano is the most coveted option for most pianists, provided they have the budget and the space to accommodate one. However, it’s important to get quality more than everything, so a top rated upright piano is always a better option than a mediocre grand piano. How do the grand and upright pianos differ? Well, the major difference is that in a grand piano, the strings and the soundboard are horizontally positioned, where they are vertically positioned in an upright piano. The result – a grand piano is more responsive, and the sound quality is correspondingly awesome. Now you know why you see all master pianists performing on grand pianos in concerts and live events. If your decision is to choose a new piano is also influenced by the oomph that the instrument will bring to your living space, you’d want to know more about the styles quotient of pianos. Modern piano makers look beyond the traditional finishes of mahogany and ebony; you can easily find pianos with wooden accents, patterned prints, and marble textures. Limited edition pianos make for unforgettable gifts and work well to express the musical philosophies of the pianist. Now that you are going to bring home a piano, you might as well be a little picky in terms of how well the instruments looks blend with the décor of the room where you plan to keep it. No wonder, people regard pianos as a lot more than musical instruments; they are the classiest furniture, the embodiment of engineering, a reflection of art, and a testimonial of the class of the owner. It’s amazing how several factors play with each other to have their distinct effect on how the sound of a piano comes out. Right from the quality and size of the minutest components of the piano to the furnishing of the room in which the instrument is kept. Longer strings yield better tone, from the bass section in particular, and large soundboards add more volume to the sound. Plus, the age of the piano affects its ‘voice’, although that’s not too huge a consideration when you’re purchasing a new piano. 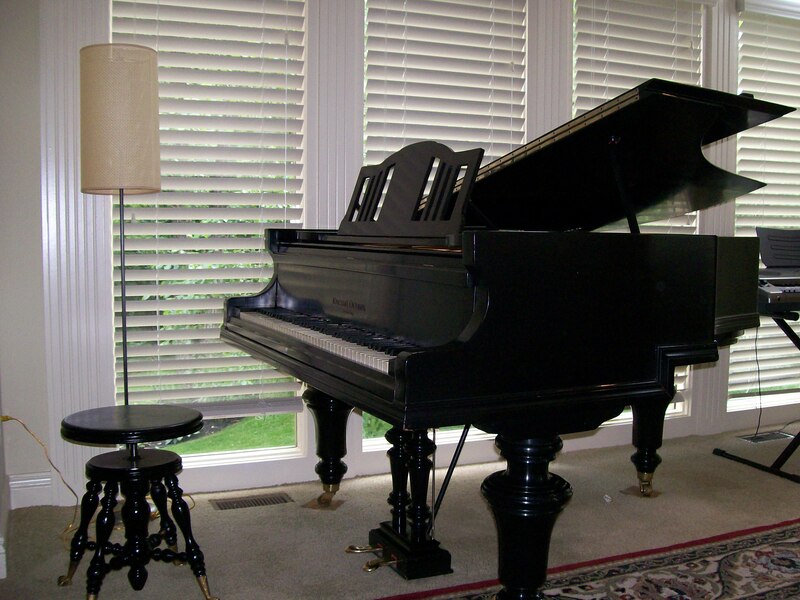 Think long and hard about the acoustics of the room where you plan to keep the piano because your new piano might even necessitate some changes to the furnishings and decor of the room. Upholstered furniture, heavy curtains, and thick carpets absorb a lot of sounds and hence make the piano’s sound softer than usual, whereas tiled flooring and wooden furnishings often help in creating a more resonating sound experience. Pianos are among the most sophisticated instruments in the world of music, because of the number of components that go into building one. There’s always a lot more to a piano than what meets the eye. Renowned manufacturers of pianos see themselves as craftsmen and artists, and not without a reason. Seemingly identical pianos can vary in price by hundreds of dollars, purely based on the quality of the components used in them. Polished plate, perfectly aligned veneer, smoothly working lid and fallboard, spotless appearance, and the little nuts and bolts of the instrument fit to precision and perfection – that’s what makes a piano a classic piece of engineering, and a giver of art. NEW OR USED PIANO: WHICH SHOULD I BUY? Before you start looking for Bay Area piano dealers, price shopping and comparing models, take a minute to consider your big picture options. A piano is a significant investment; chose the right type of instrument before you commit. One of the most important decisions you will make when purchasing a piano is whether to buy new or used. Below are some considerations to help you make the best choice. New pianos offer more options. Buying a new piano from a reputable piano retailer should be straightforward as a good retailer will be able to discuss your requirements and suggest suitable instruments. Generally the amount that you pay for a piano is determined by the quality of the instrument. Be sure to purchase the one that you have tried as no two instruments are the same, even if they are the same make and model. This entry was posted in Pianos, Merriam Pianos Blog and tagged buy new piano, buy piano, buying piano, new pianos, piano-buying tips, pianos.